A lesser explored aspect of bespoke tailoring is that of garment finishing. 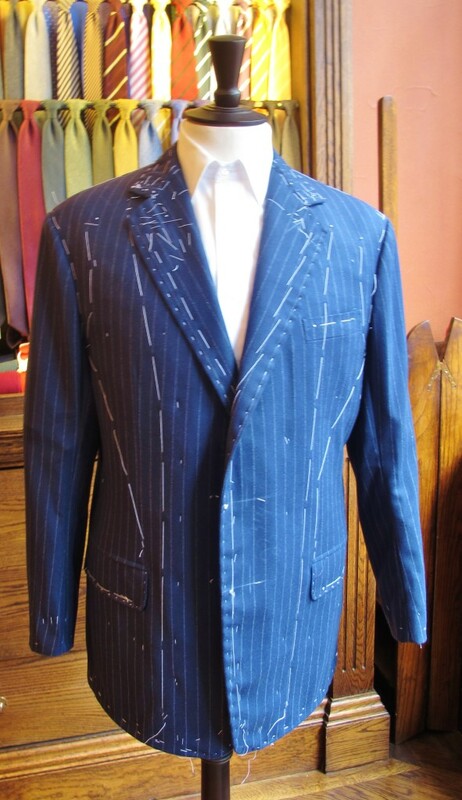 Once a customer has had his first fitting the garment is sent back to his coat maker. From this point onwards the garment is classed as a ‘finisher’. Now the most basic method used is a felling stitch. This entails catching a very small section of both the cloth and the lining thus joining them together with discrete almost invisible stitches. This technique along with cross stitching and back stitching make the mainstay of a finisher’s task. A cross stich is used on the bottoms of the jacket to give some small degree of movement to the linings, as much tension here could lead to the individual stitches coming away; a back stitch is used to ‘stay in’ the collar which helps to prevent the collar from stretching over time. 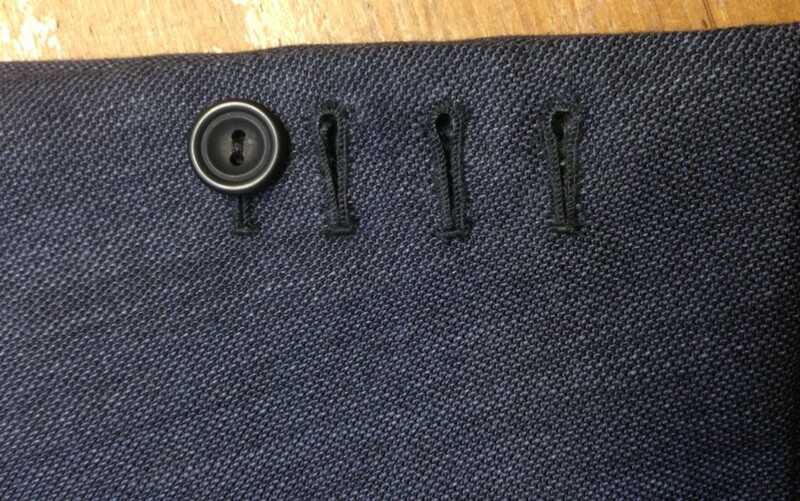 Now once all linings are sewn in, the not so small task of the button holes becomes priority. At Anderson & Sheppard we use a standard of a 3+1 cuff which is 3 real holes along with one dummy hole. 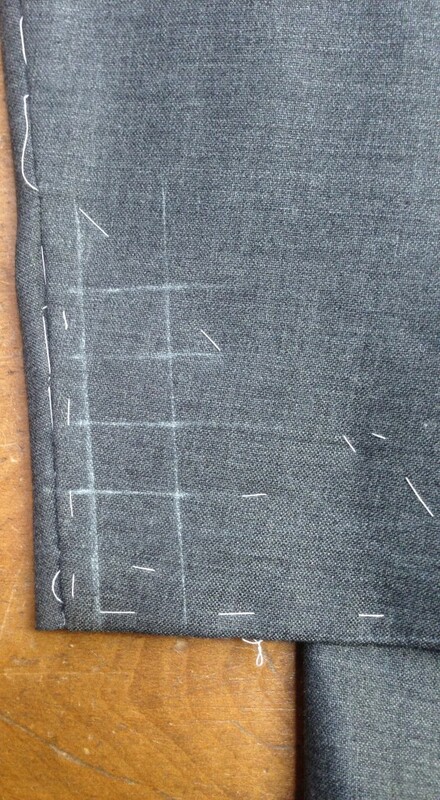 The standard measures here are 1/2” from the edge of the sleeve, with each button hole being 5/8” wide and 5/8” apart from one another; whilst the front button holes are 11/8” wide and depending on the gentlemen’s size are spaced between 4 inches and 4 ½ apart. The use of a dummy hole also doubles as a safety net in case sleeves need to be lengthened for one reason or another. Taking this hole out leaves no damage to the cloth and once alterations are made a new one can be placed above or below the existing holes. Now this entire process for just a normal single breasted jacket can take between 5-6 hours, highlighting just how much concentration, skill and finesse it takes to fully finish a bespoke garment to the highest level.